A Montpellier University partnership foundation. The Van Allen Foundation supports the 1st French University Space Centre where students train by developing nanosatellites. 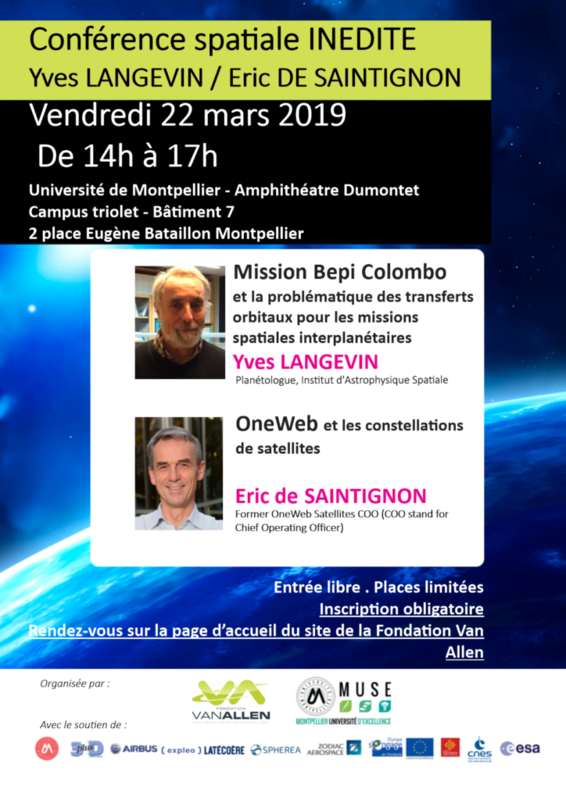 On Friday the 22nd of March 2019 from 14:00 to 17:00, the Van Allen Foundation, which supports the University Space Center of Montpellier, organises for the 4th consecutive year, an unprecedented conference on space, free and open to all, at the Dumontet amphitheatre of the University of Montpellier. It is mandatory to register in order to attend.